Discovery Summit Europe: What's your story? What's your JMP story? Submit an abstract. 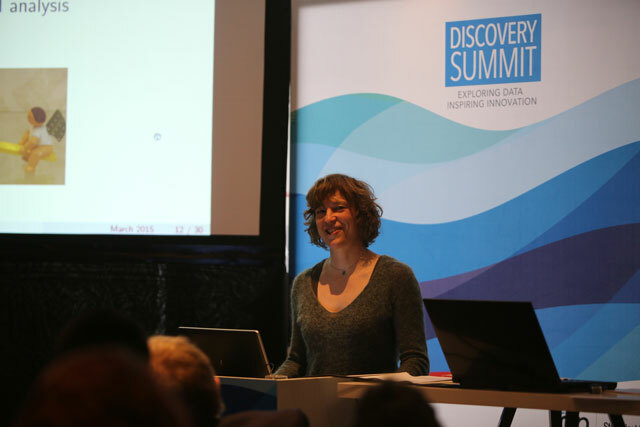 At Discovery Summit Europe last March, I met many amazing people. You may not remember me, but I remember you. We met during delicious dinners, perky plenaries, and thought-provoking paper and poster presentations. Oh, and we bonded over a lovely glass of red wine or two, if I remember correctly. You’re from Lufthansa, STATCON and Novozymes … GE, GSK and P&G … and you’re the brilliant young researchers at the University of Exeter. Yes, I’m calling you out because now is the time to submit abstracts for consideration for Europe’s second Discovery Summit: 14-17 March 2016. This time, the Summit will be in Amsterdam, and it's shaping up to be another awesome event for analytic thinkers. I know you have a good story to tell, but you need to let us know about it...now! Time is running out to submit an abstract for consideration; in fact, the call for papers and posters closes on 30 September. You’ll find all of the details at the Discovery Summit Europe webpages.